While walking around this vast site, you can enjoy cherry blossoms, wisteria and water lilies, etc. in the spring and crimson and golden leaves, etc. in the autumn. 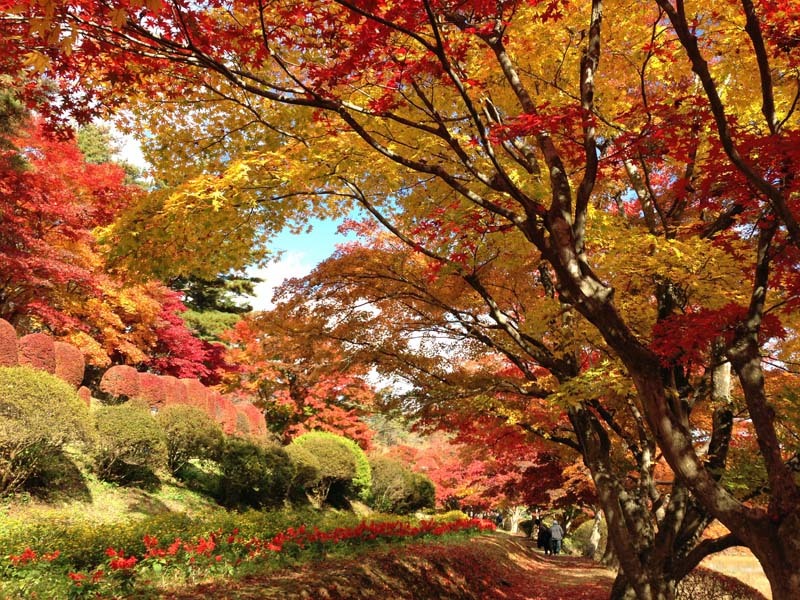 There are more than 400 maple trees planted over 100 years ago and you can even feel as though you were visiting old temples in Kyoto with their vivid colors. The Ja no Hana (serpent nose) palace that stands within the park was built as a villa of the Ito family, wealthy agricultural family in the late Meiji period (1868-1912) and is designated as a registered tangible cultural property of Japan.